Senegal Stick Flag - 4x6"
Senegal used the flag of France as its symbol for many years during the colonial period, but the end of the colonial era brought about a period of rapid change for the Senegal flag. 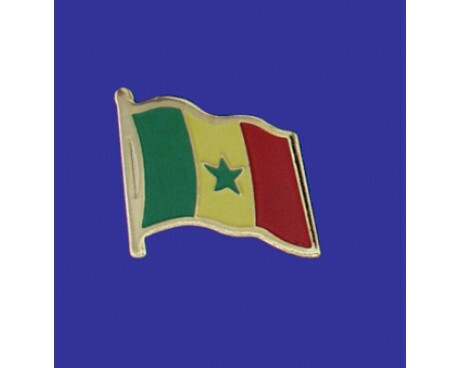 The flag changed several times before it finally stabilized with the current design, which has represented Senegal for more than half of a century. 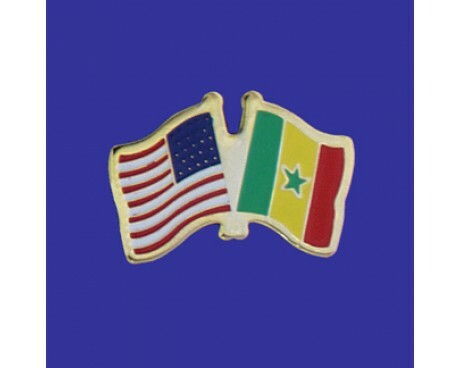 The changes to the flag's design coincided with major political changes for the people of Senegal, so the Senegal flag history is a reflection of the nation's political history in the modern era. 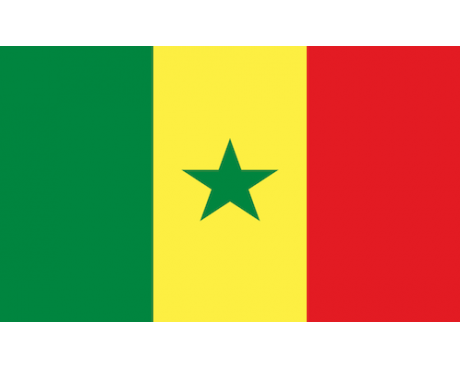 The Senegal flag is made up of three vertical stripes of green, yellow, and red with a green star in the center of the flag. The red stripe represents life, sacrifice, and the willingness of the people to fight against underdevelopment in Senegal. The yellow stripe represents wealth. It is also a common symbol of education and high culture in Senegal due to its association with teachers. The star and the green stripe are symbols of Islam, which is the majority religion in Senegal. The color green also has some significance for most of the nation's minority religions. The three colors are taken from the Pan-African flag, which allows them to serve as a symbol of solidarity with the rest of Africa. 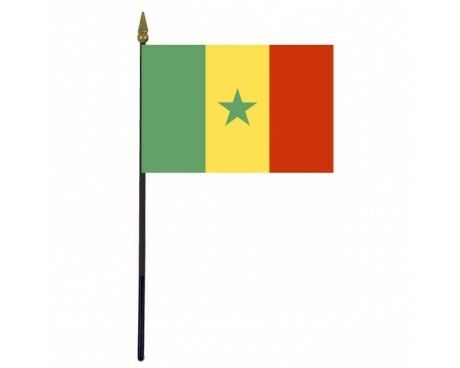 Senegal flag history begins with the colonial period, when Senegal became part of the French Empire. The government of France did not allow Senegal to have a colonial flag of its own in order to prevent the development of nationalist feelings that could lead to a rebellion, so the French flag flew over Senegal for most of that time. That policy changed when the decolonization movement began to take hold. Senegal became an autonomous territory in France and adopted a flag that consisted of a green field with a yellow star in 1958. It became part of the Mali Federation in 1959, at which point it adopted a flag with the same three stripes as the current flag that featured an abstract image of a human in place of the star. Senegal became fully independent shortly after, and it adopted the current flag of Senegal in 1960.